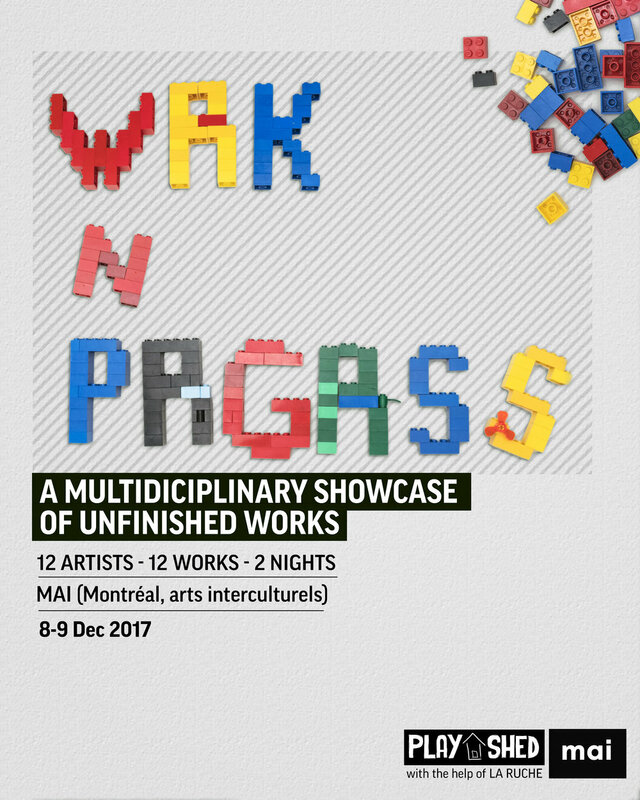 PlayShed put together its first WRK N PRGRSS showcase; a multidisciplinary showcase that gave young and emerging artists a public platform from which to share the creative process behind a work they had yet to complete. A two-night walk-through of incredible works in progress from some of Montreal’s young artists and creators. Everything from live painting and live play readings to video art instillations and live music.